That lovely silver-haired lady was Marie Nelson who was our past EWGS librarian. Sorry for that goof! The second annual FamilySearch Symposium (Saturday, April 27th) was a great success and several EWGS members attended......... I'd name them all but I'd be sure to overlook somebody.....there were so many! 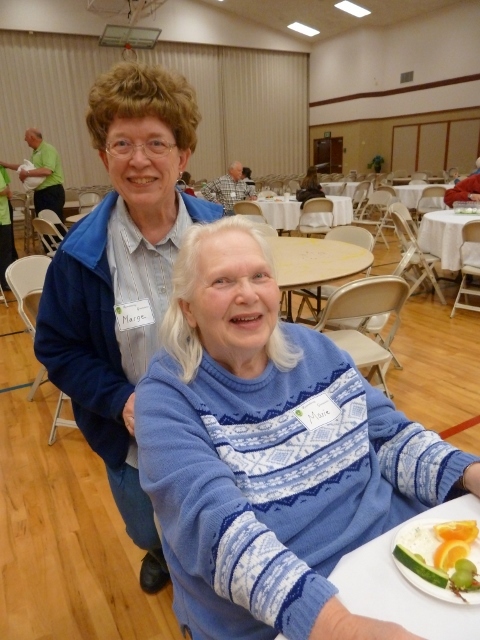 It was good to see Sharon Larson again (our EWGS Librarian before Juanita McBride) sitting with Marge Mero.......... and our Elaine Anderson was the "senior-est" one there at age 89! The date has already been established for the third annual FamilySearch Symposium: 26 April 2014. For sure you will want to come again or to come if you missed it this year. If you Google his name, Cyrus Turnbull, you will learn (as I did) a good cupful of information on this man for whom Turnbull NWR is named. He was born in 1849 in Des Moines, Iowa and died in 1934 in Sagle, Idaho (tiny town just south of Sandpoint). He married Mary Jane Williams in 1880 in Four Lakes, Washington, and they had: Oliver, Fred, Melissa, Thomas James, Ida, Oscar and Bessie between 1881 and 1893. "While Cyrus is listed as a farmer in the 1885 Auditor's Census of Spokane County, family members reported that he spent most of his efforts hunting, probably providing wild meat to the newly established and rapidly growing town of nearby Cheney. The area was named after Cyrus by his contemporaries, even though he was not the first settler of the wetlands, never owned land there, and stayed only six years." (RootsWeb, McMahan/Kilsdonk Ancestors). The Cheney Free Press carried an article with a blurry picture on 21 February 2008. A Google search will bring up this reference too. Bringing this story down to home, EWGS member Nancy Curry was the refuge manager there for years before her retirement.She says it's still her favorite place to go walking and recommends it to you too. I add my voice to Nancy's! Susan Hunsche Heil lost her battle with life early in the morning on April 24th and now has gone on to adventures in a different place. We will miss her!! 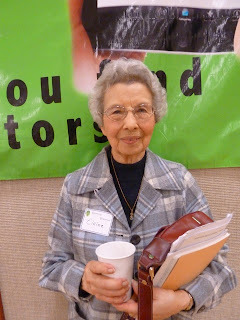 She was a stalwart on Tuesdays (with the Tuesday Gals) helping folks in the genealogy room. If you've been the recipient of her help, lucky you. Susan had German ancestry and lots of it back in and around Cincinnati, Ohio. She and her sister made several research trips there and had good luck and good help with the old German records of her Hunsche ancestors. Cincinnati was near and dear to Susan. Dolly Webb, her co-worker on Tuesdays, says the family requests no flowers and a memorial service will be held later this summer. So many will miss you, Susan. Gotta love those New England names. On this New England jaunt I'm finding, laughing over and enjoying seeing surnames that I never heard before. My traveling buddy is looking for her GENTLMAN-surname ancestor and she's pretty sure he was not a white-collared gentleman of yore. She also is looking for Wigglesworth SWEETSTER. Ohmy. How about Abner CORPSE who married Hannah Ransom in 1734 in Plymouth? Or Elizabeth Young who married her cousin FROUGHT Young in 1821 in West Union, Ohio? Or Edward URINE (Urin, Uran, Euren) who came from Scotland in 1657? 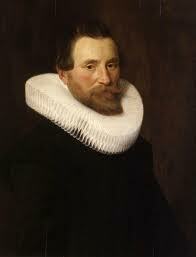 Or Nicholas MYGOOD who lived in Hampton Falls? But our absolute favorite was a village sign for Andrew J. Fang, D.D.S. I'm sure you could share dozens and dozens of such examples; send them to me if you'd like. 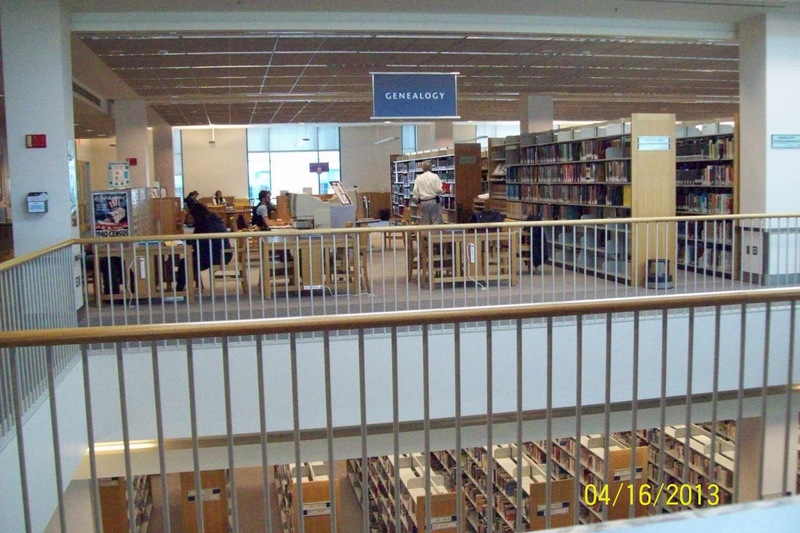 Eastern Washington Genealogical Society Blog Named as One of FTM's Top 40 Genealogy Blogs! 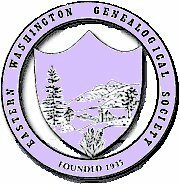 The Eastern Washington Genealogical Society blog has been honored, once again, to be named as one of Family Tree Magazine's Top 40 Genealogy Blogs! We are in respected company as one of six genealogical organizations so chosen: the Brooklyn Historical Society blog, NARAtions (the National Archives blog), New York History, Sandusky History, and Seeking Michigan. To view the other 34 blogs who are named as recipients of this annual award, please read the article on the Family Tree Magazine website. The EWGS blog is co-written by the society's current president, Donna Potter Phillips; the society's researcher, Charles Hansen; and the Rest Stop Fundraiser Chairperson, Miriam J. Robbins. All three have personal genealogy blogs of their own (click on their linked names to learn more). The EWGS blog was honored in 2011 to receive this award for the first time. Thank you to all those who nominated our blog for this award. 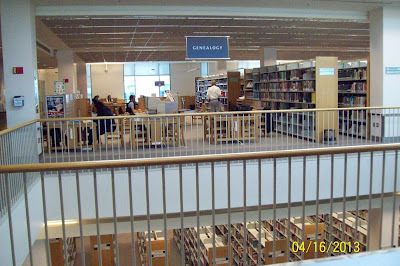 Today April 16, 2013 is Library Snapshot Day so here is a snapshot of the genealogy section of the Spokane Public Library. 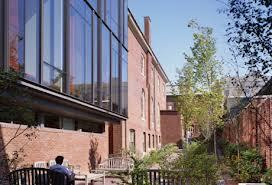 This is the Maine Historical Society in Portland, Maine. Since 1822, Maine Historical Society has been collecting materials about Maine and tomorrow I'm going to spend some time at their tables. And the point of this message is this: Their catalog is online. Had I done what I teach I would have checked out their catalog....their holdings.... BEFORE I came and had my to-do list all ready to go. So part of my few hours will be spent doing what I could have done from home. 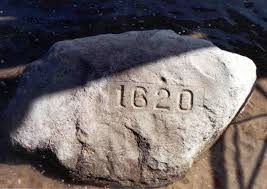 Some of my ancestors came to Maine before it was Maine.... when it was a colony or province of Massachusetts. I know that at research facilities like historical societies you must not always think in terms of surname reseach solely. I plan to ask for what they might have regarding the earliest settlers to the area. Today I'm in Plymouth, Massachusetts, which is on the way to Cape Cod, to be a tourist and to do some genealogical research. I'm traveling with Maureen MacDonald who is my Mayfower cousin; we're both descended from William Brewster. Is this encouraging or discouraging? I think it's wonderful! If I'm looking for "the answer" I have several different places to look! Without too much driving. I must do my homework first to learn what days and hours these research facilities are open (and boy do they vary and some are only by appointment) but the answers to my questions are likely here and only my diligence keeps me from finding them. Or lack thereof! Happy researching, whether in person or via mail or email, to us all.